Repeated the number one three times, then skipped straight to four. 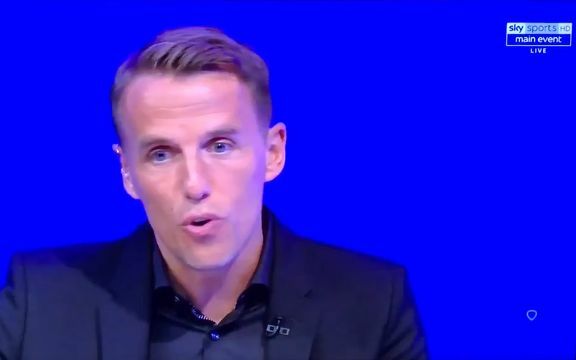 Watch as former player turned pundit Phil Neville can’t count to four while discussing Everton’s Ross Barkley during an appearance on Sky Sports’ new show – The Debate on Wednesday night. Coming up with several points regarding the English midfielder currently the subject of much transfer speculation, who he thought “was trying too hard at times”, Neville ended up stumbling over his numbered points. Despite repeating the number one three times, he nevertheless persevered and skipped straight to four.